Star Tribune writer Tom Meersman takes a look at dairies using automated feeders to improve calf health and reduce labor. The calves at Rohe Dairy in Stearns County don’t bawl when they’re hungry. They live together in small groups in a tall, well-ventilated barn, and they eat whenever they please from an automated calf feeding machine. The calf feeders, outfitted with scanners and sophisticated engineering, are the latest high-tech addition to Minnesota dairies, which have also begun to invest in robotic milkers for their cows. 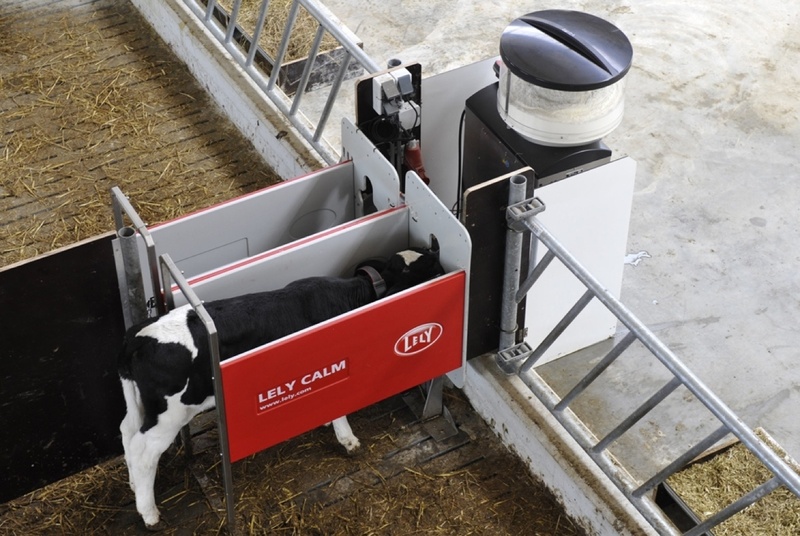 “Our conclusion is that automated calf feeders are here to stay, and they seem to be drawing more and more interest,” said Tom Earleywine, director of nutritional services for Land O’Lakes Animal Milk Products, which has done research on the technology. 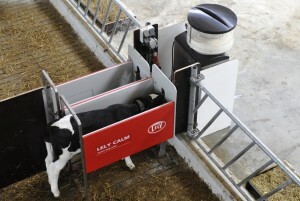 The Lely Calm automatic calf feeder guarantees the optimal growth and development of these young animals. Increasingly sophisticated equipment is bringing dramatic change to the lives of dairy farmers in Minnesota and throughout the Midwest. Researchers at Iowa State University have calculated that the feeders can reduce labor costs by more than 40 percent, make farmers’ schedules more flexible and allow more time for producers to monitor and manage calf health. At Rohe’s barn near Freeport, about 30 miles northwest of St. Cloud, 31 calves are separated into three roomy pens, according to their age. On a morning last week, some lay contentedly in the deep straw and others cavorted in playful running and jumping. As Michele Rohe opened a gate, a handful of them pushed forward as she began to stroke their heads and necks.